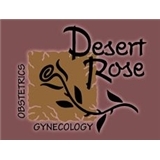 Desert Rose OBGYN (Mesa) - Book Appointment Online! Our providers are committed to offer a private practice in gynecology and women’s healthcare that is comprehensive, state of the art and patient friendly. We strive to use our many years of experience and empathy, combined with modern practice management techniques, and a personal, warm office site and staff. Whether you are a new patient or an existing patient, our mission is to provide quality healthcare whether you are expecting or not, and to give back to our community. We strive to exceed your expectations in the care we offer.